Posted November 16, 2017 at 2:59 pm & filed under News. Enjoying beer as we do, it was only a matter of time before Poland’s well established and flourishing craft beer scene became an object of huge interest at Beer Piper HQ. With our latest BP4 model already a fixture at one of Warsaw’s more high-profile establishments and meeting place for beer aficionados, this year has seen us developing our operations with visits to other key cities in the country and preparations to develop our distribution network. What makes Poland such an interesting proposition for those that are passionate about beer? Read on to acquaint yourself with some of the breweries creating outstanding beer and learn why Poland is a destination that should be at the top of your beer tasting pilgrimage list too. The historical links and fraternal bonds between Poland and Britain go back centuries; diplomatic and trade agreements were signed in the 18th century while in the last war, over a quarter of a million Poles joined the British forces – including 16 RAF squadrons flying Spitfires, Hurricanes and Mustangs. Today, Polish delicatessen and mini-mart establishments are common in the high street where its likely everyone will have seen the mainstream beers, often pale, malty lagers like Żywiec and Tyskie at around the 5.6% mark. Owned largely by Heineken in the case of the former and SABmiller in the latter, the beers are good but don’t offer the real ale fan anything to get truly worked up about. You could try Żywiec Porter – made, we are told, to the original recipe from 1881, the malt roasted in ovens dating back over 100 years – which, although far from craft, does offer a hefty 9.5%. Alternatively, here are some of our other recommendations for investigation. Around half an hour drive from central Warsaw is Browar Artezan, which opened in its current location in only 2015. With a range of styles, albeit pale ale heavy in range, this youthful and exciting brewery has something for all tastes from the tropical Dodo, (appearing to be influenced by the 1980’s fruit drink UmBongo for those old enough to remember it) flavoured with mango, guava and passion fruit to an oatmeal stout, Czarna Wołga, featuring three different types of malt with all the velvety chocolate and coffee notes you could wish for. There is a distinct nod towards the US craft scene with its Pacific Pale Ale, capturing the citrus zest of American and Australian hops which at a sensible 5%, won’t ruin a lunchtime session. Another young brewery, not far from Lublin, that has recently invested in its brewing capacity following its creation in 2015. The Browar Zakładowy brewing team of four have an extensive range of powerful and most definitely memorable beers that have to be tried, preferably with a certain degree of care. Your author’s first experience of the brewery was with the mighty Ciężki Ładunek (translation: Heavy Load) a double IPA featuring Tomahawk, Centenial, Chinook, Citra and Simcoe hops, which as the name suggests certainly is quite the load, particularly at 8.1% – after which that particular tasting session was deemed complete. Whether your particular preference is a beer as black as a Russian Imperial Stout or as light as a Berliner Weisse, this is a brewery with beer passion and know-how in spades. We chose Browar Absztyfikant to discuss the merits of a Polish beer style that, once forgotten, has enjoyed something of a renaissance as beer drinkers now constitute a greater number of tastes, Grodziskie. Using oak-smoked malt and being much lighter – usually in the order of 2.5% / 3.5% – along with high carbonation means it is sometimes referred to as Poland’s champagne. Absztyfikant, in what is widely acknowledged as one of the best examples of the style, have crafted their own unique take on the brew by using American Amarillo hops to give a refreshing and flavoursome beer, Zośka (Sophie). It is filtered which won’t appeal to ale purists but we’ve always advocated styles of historic significance and this style has a centuries old heritage! We hope to have more news from Poland in the very near future and we are always keen to hear from other potential partners overseas; already this year Germany, Portugal and Belgium have been expressing interest. 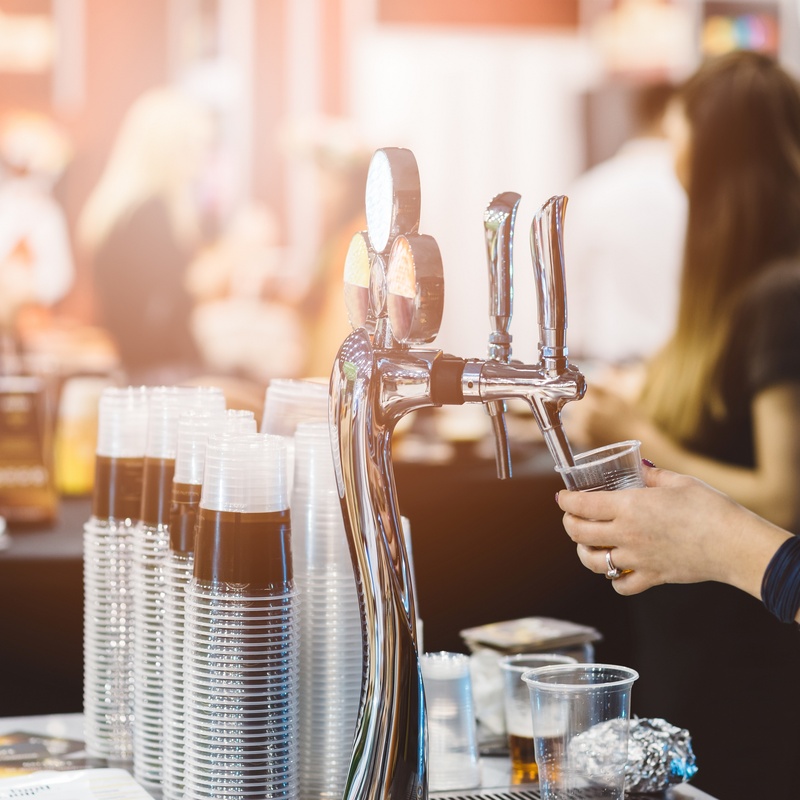 Whether you have yet to be convinced by the state-of-the-art technology that Beer Piper employs in its products or have already seen it in action and want to be a part of the future growth of Beer Piper, get in touch with our sales team and let’s talk!